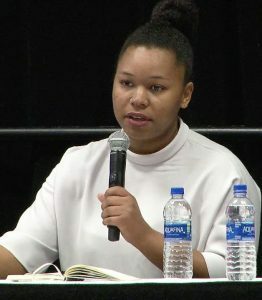 A.G. Gaston Conference Civic Innovation discusses inclusive growth from Alabama NewsCenter on Vimeo. 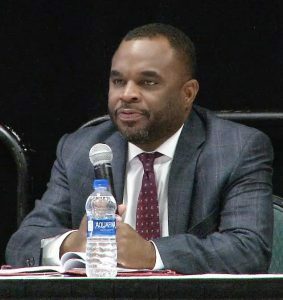 Hood is director of civic innovation at UAB, and his comments came in the introduction of a panel on that topic at the 15th annual A.G. Gaston Conference in Birmingham. 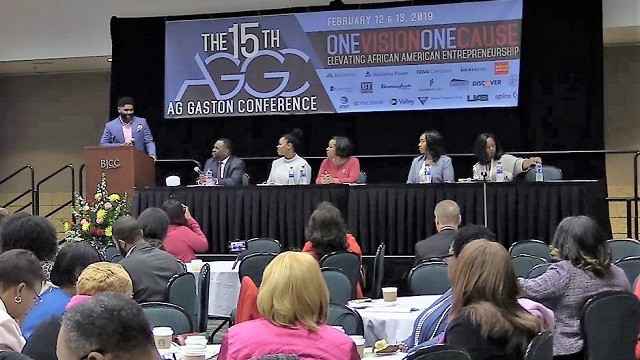 The conference bears the name of the late entrepreneur and philanthropist who was a grandson of slaves and built a business empire in the segregated Birmingham of the mid-20th century. By the time of his death in 1996, at the age of 103, Gaston had long been hailed as one of Alabama’s greatest citizens. 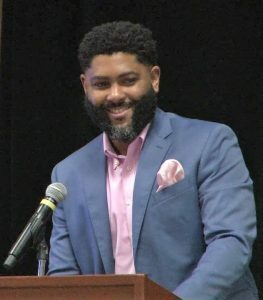 The 2019 edition of the conference was devoted to the theme “One Vision, One Cause: Elevating African-American Entrepreneurship.” That theme reflects the current attitude in Birmingham, a city that is enjoying what numerous speakers referred to as a “renaissance” as it continues to emerge as a center for technology-related business growth. Hood’s civic innovation panel picked up on that theme. But the discussion also stressed economic and social gaps that must be addressed to ensure the presence of a workforce to support Birmingham’s continued growth. 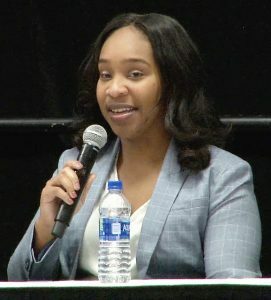 “We have to be honest about the context in which we’re working,” said Kellie Clark, director of operations for Innovate Birmingham, a public-private partnership tasked with fostering inclusion and delivering increased economic prosperity. Clark said one aspect of fulfilling the mission of connecting talented people with prospective employers is providing wraparound services that ensure people can take advantage of programs. 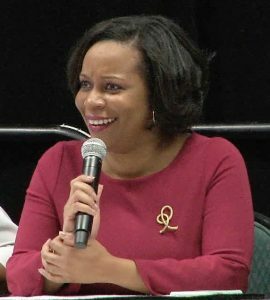 Adrienne Starks is founder and CEO of STREAM Innovations, a Birmingham nonprofit that helps students develop and explore their talents in science, technology, reading, engineering, the arts and mathematics. She said that, regardless of the discipline to which they may be inclined, there is a common thread for helping students excel. Access is a key ingredient to ensuring young people are positioned to take advantage of opportunities. That’s according to Brittney Smith, who recently left her role as manager of workforce development for the Birmingham Business Alliance to take on a similar position for Birmingham-based Protective Life. Smith stresses the value of networking, as companies sometimes overlook talented potential hires who are “right in their own backyard,” most particularly products of historically black colleges and universities. 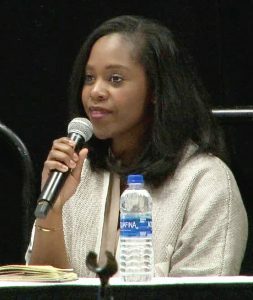 Making sure that doesn’t happen, she said, is key to optimizing Birmingham’s continued economic growth — and ensuring the local workforce is reaching its potential.